Dizzy Limits were a very popular group in their hometown Wellington, but never really reached their full potential. They were formed in 1966 and in 1969 were one of the early signings to Ode Records, the catalogue numbers of their singles being 4, 5 and 7. Steve McDonald had previously played with his brother Eddie in a group from Wellington called the Strangers. Like a lot of ambitious groups, their first single was two originals, "Alone"/"Mare Tranquillity". It failed to sell and reverting to the tried and tested formula their second single was a cover of the Beatles' "Golden Slumbers - Carry That Weight" backed with "Be My Friend, Be My Lover". It was released and on the radio before the Beatles version was released in New Zealand and it sold very well, reaching number 9 on the national charts in December 1969. Their third single "Wrote A Song For Everyone"/"Good Golly Miss Molly" couldn't match the previous success. In July 1970, they got a playing job onboard the "Northern Star", from New Zealand to England and returned doing the same aboard the "Southern Cross" five months later. Kelvin didn't want to go on the trip so Steve recruited John Donoghue, also from the Wellington Strangers, and he went on the trip with them. Back in Wellington, they had changed their name to Timberjack. Meanwhile Kelvin had joined Random Thoughts. In 1971 they scored a big hit with the atmospheric litany "Come To The Sabbat" backed with "Epilogue". It reached number 7 on the national charts and was a Loxene Golden Disc finalist, which caused outrage from staunch church-goers. With sales, no doubt, spurred on by the controversy, Timberjack seemed set for a full-scale attack on the country, but "Sabbat" was both highlight and swansong for the group. They split up before the year was out. 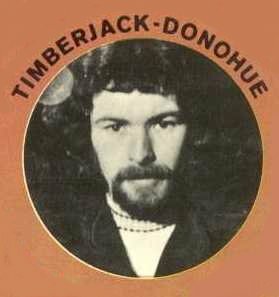 John Donoghue then went by the name Timberjack-Donoghue in 1972 and released a single called "Dahli Mohammed"/"Song For Vanda". This song was a finalist in the 1972 Loxene Golden Disc Awards. Also in 1972 John became a member of a four-piece Human Instinct variation. 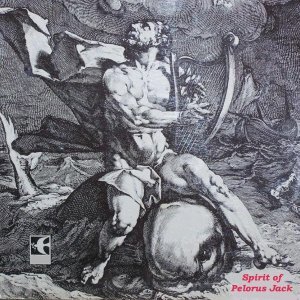 Another single, "Spirit Of Pelorus Jack"/"Be My Friend", in 1973 under his own name and an album called "The Spirit Of Pelorus Jack" were followed in 1974 by a second single as Timberjack-Donoghue, "Requiem For Country Gaul"/"Regrets And Things". 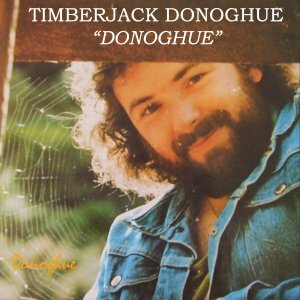 1975 saw a single, "Insurance Man"/"Gypsy Lady" and a final album called "Donoghue". In 1976 John combined with Steve McDonald to record a song called "Blueberry Hill". This was released as a single and had a John only song "Turn On De Light" on the reverse. Steve McDonald was later a member of Taylor before recording solo and then under the name Spinfield. Frits Stigter later played with Quincy Conserve and Redeye.